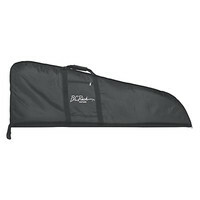 The BC Rich 30mm padded bass guitar gigbag is a trustworthy way to protect you instrument. The shape has been designed to accommodate for the vast array of BC Rich bass guitar shapes including the Warlock Warbeast and Mockingbird ranges. With 30mm of padding you can be sure that your bass guitar will be protected on trips to gigs or band practices as well as just in your house.